A useful size for long addresses and messages. Colop pre-inked stamps provide a modern looking stamp with exceptional impression quality whilst eliminating the need for stamp pads. A useful size for long addresses or messages. The size is 82 x 25 mm with up to 6 lines of text or logo. 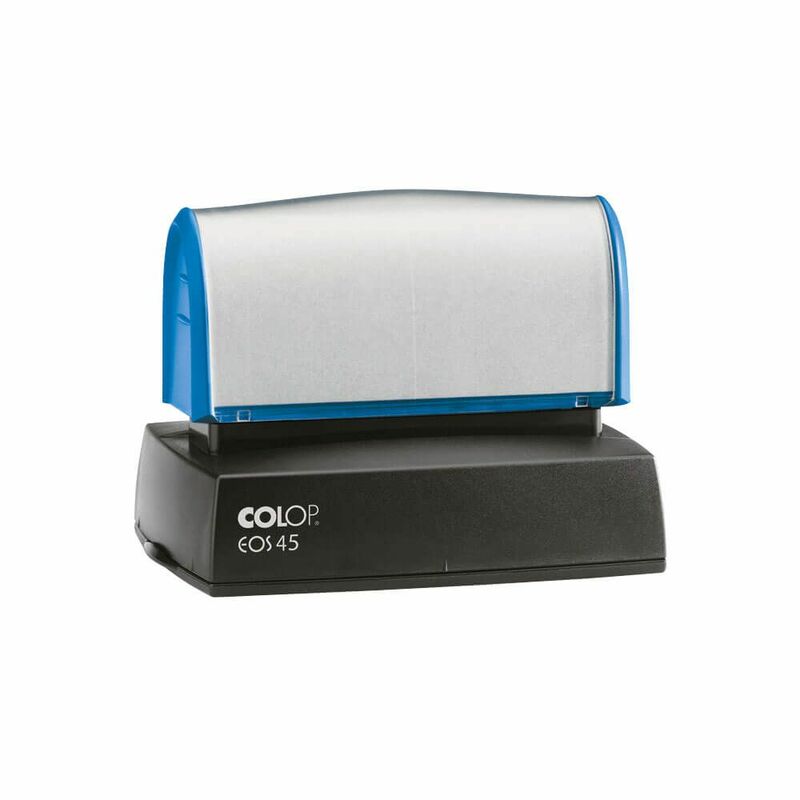 Colop pre-inked stamps provide a modern looking stamp with exceptional impression quality whilst eliminating the need for stamp pads, giving up to 50,000 impressions before Re-inking is required. Two types of ink are available for either matt or glossy surfaces. The ink for matt surfaces is suitable for paper or card. The ink for glossy surfaces will dry on glossy paper, card, some plastics other glossy surfaces eg. CDs. Allow up to about 5 minutes to dry on glossy surfaces. Supplied with a dust cover to protect the impression area. The price includes the cost of your custom made design.